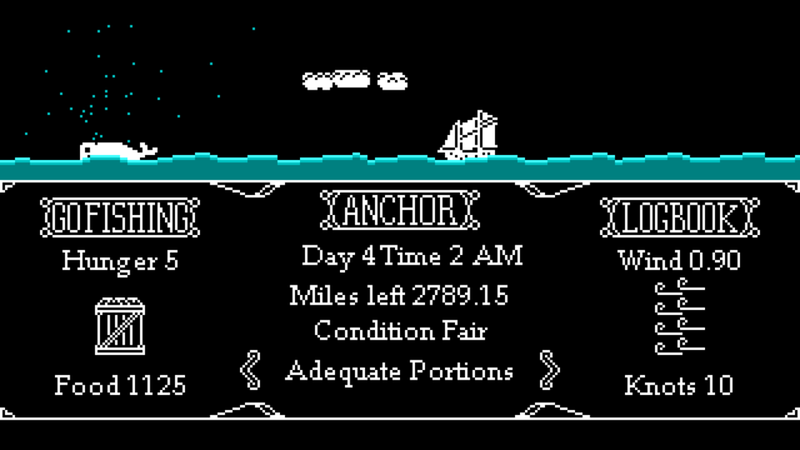 A dark and humorous 8-bit adventure about sailing the world in the 1700s. Currently available on - Gamejolt - Itch.io - Steam! You are the Captain of your own ship in the 1700's. 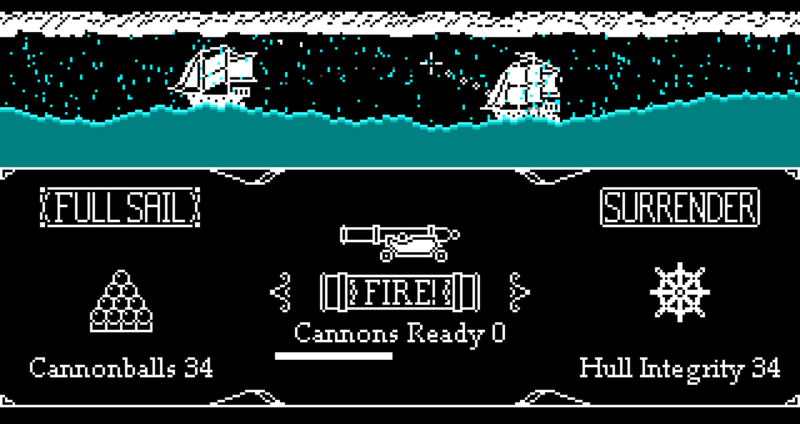 Sail for the British Navy and fight for Queen Anne as a Privateer -or- become a Pirate and seek your own fortune! Name your crew, choose your profession, purchase a ship, stock up on supplies, choose your destination, then set sail at the mercy of the wind. 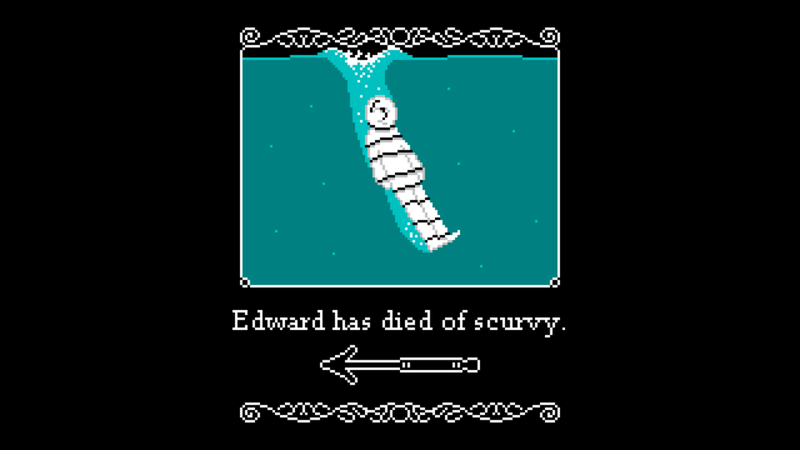 You'll encounter pirates, storms, disease, starvation, and death as you sail the world. Or you could just stay in port and play liars dice the whole time instead. Two large content updates are planned - Route Planning was completed! Fantasy Toggle - An option to bring the fantastic legends of the sea to life with myths, monsters, and mystery. [Complete] Route Planning - The ability to set course and visit more locations around the Atlantic, maybe even the world.